Commonly called a class leader, the Honda Civic compact car has achieved iconic status globally, thanks to its smart design, solid performance, good fuel economy, and overall reliability. The Civic was Honda's first car sold in the North American market, and it remains the focal point of the automaker's lineup to this day. 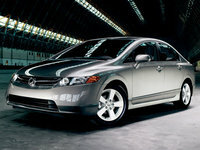 Nearing the end of its eighth generation, the Civic enters the 2011 model year with a number of minor updates. The Civic's sleek, sporty exterior styling remains, although the Civic now features a new honeycomb front grille, designed to create a more aggressive appearance, while the LX-S trim receives new 16-inch alloy wheels and a rear spoiler. 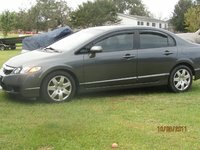 Honda offers the Civic sedan in six trims for 2011, including the DX, DX-VP, LX, EX, and EX-L, in addition to the sporty, midlevel LX-S trim. A 140-hp, 1.8-liter, SOHC i-VTEC four-cylinder engine powers all Civic trims. 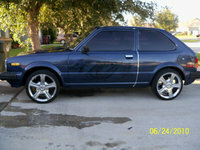 It posts fuel economy numbers of 26/29 mpg with a five-speed manual transmission and 25/29 with a five-speed automatic. Honda also offers the Civic in a sport-oriented Si trim, available as either a sedan or coupe. 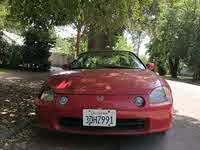 It comes equipped with a souped-up, DOHC four-cylinder powerplant, which delivers 57 more hp than the base engine. Despite its additional horsepower, fuel economy numbers remain very respectable at 21/29 mpg. Other features include a close-ratio six-speed manual and a performance-oriented suspension with a limited-slip differential. Owners who prefer improved fuel economy can opt for the Civic Hybrid, powered by a gasoline-electric hybrid engine generating 110 hp and posting mileage numbers of 40/43 mpg. Finally, Honda offers the Civic in a natural-gas-powered GX trim, which was recently named the Greenest Vehicle by the American Council for an Energy Efficient Economy. Powered by a 113-hp i-VTEC engine, it manages gas-equivalent mileage of 24/28 mpg. It's currently avaiable in California and New York. Most owners and reviewers find the Honda Civic fun to drive, with responsive handling and plenty of power for around-town driving. The Civic's aerodynamic, fluid exterior design has drawn mixed reviews, due in part to its lack of distinctiveness. Some like the Civic's conservative nature, while others think it's a missed opportunity for a vehicle with the Civic's brand awareness. Perhaps the Civic's new grille indicates a trend in the right direction. What the Civic lacks outside it more than makes up for inside. The well-equipped, well-thought-out interior earns high marks from reviewers and owners for its functionality, comfort, and sophistication. However, the Civic lacks in such areas as rear-seat legroom and cargo space. 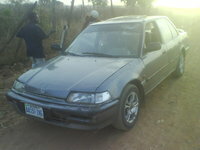 Early rumors say the ninth-generation Civic, due sometime in 2012 or 2013, will be lighter, more affordable, and more fuel efficient than the current generation. More than likely it also will become smarter, more high-tech, and more functional. No doubt a nod to rising energy prices, this trend would ensure the Civic's relevance and class-leading status for a new generation. 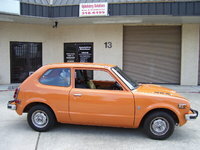 Known primarily as a manufacturer of motorcycles, Honda launched its automotive segment with the Civic in 1972 (for the '73 model year). Sitting on a short 86.6-inch wheelbase, the first Civic was roomy enough for four passengers, thanks to its front-wheel-drive configuration with a transversely mounted 1.1-liter, 50-hp four-cylinder engine. 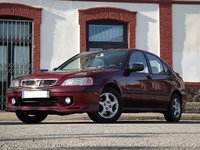 Initially available in hatchback and two-door sedan trims ("two-door sedans" have a middle or B pillar, despite having only two doors), the first Civic came standard with such features as reclining vinyl bucket seats, AM radio, and front power disc brakes. Add in fuel economy of up to 40 mpg, and the new Civic was very competitive in the subcompact class, which was Honda's goal in creating the small car. Honda added a Civic station wagon a year later and increased engine output by 2 hp, while an all-new CVCC engine, putting out 53 hp and designed to eliminate the need for a catalytic converter, debuted in 1975. 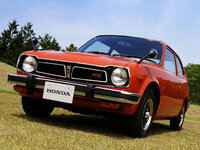 For its first three years, the Civic was awarded Car of the Year honors in Japan, and in 1973 it was ranked third as the European Car of the Year, attesting to its widespread, global acceptance right out the gate. The Civic was well on its way to becoming a world-class, segment-defining car. 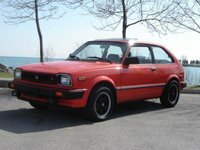 For its second generation, which debuted with the 1980 model year, Honda stretched the Civic Hatchback's wheelbase to 88.6 inches and the wagon's to 91.3 inches, while dropping the two-door trim from the lineup. 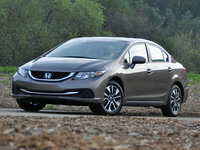 Honda also revamped the Civic's four-cylinder engine, offering it in two versions. The 1300 produced 55 hp, while the 1500 generated 67 hp. Both were offered at Base and better-equipped DX levels, with a choice of four-speed manual, five-speed manual, or two-speed automatic transmissions. 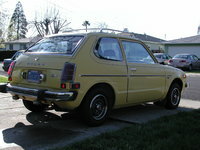 Honda expanded the second-generation trim lineup by adding a four-door sedan and a Civic Country station wagon in 1981, followed in 1983 by a sport-oriented S trim. Motor Trend named the second-generation Civic the U.S. 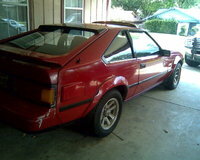 Import Car of the Year in 1980. 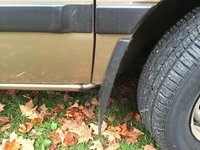 Honda increased the Civic's wheelbase by 5 inches, to 96.5 inches, for the third generation, which debuted with the 1984 model year, and designed the compact car with the goal of "maximizing space for people while minimizing space for mechanisms." 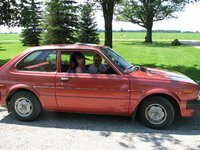 The Civic came in three-door hatchback and four-door sedan, as well as five-door shuttle trims. A new 1.5-liter, 76-hp four-cylinder engine powered the sedan and shuttle, while the hatchback received a new 60-hp, 1.3-liter powerplant. 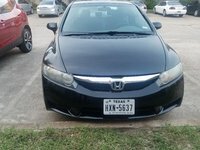 Honda offered the hatchback in Base and DX trims as well as in a new S trim level, which included sport seats and a rear stabilizer bar as standard features. 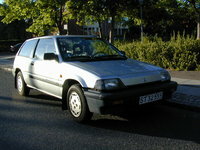 In addition, Honda introduced an Si Hatchback trim in 1986. 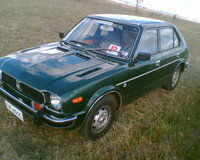 The third-generation Civic was awarded Car of the Year for 1984 in Japan. The fourth-generation Civic kicked off the 1988 model year with an emphasis on performance and improved efficiency. 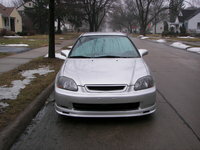 Honda lengthened the Civic's wheelbase to 98.4 inches and gave the exterior more aerodynamic lines to reduce drag. In addition, the suspension featured a double-wishbone configuration at all four corners, which helped improve ride and handling. 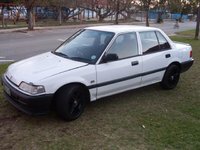 A range of five powerplants, producing 70 to 92 hp, powered the various Civic trims, which included a Base hatchback, the DX hatchback and sedan, a new LX sedan, and a four-wheel-drive wagon. 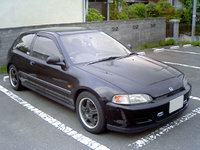 Honda also introduced a new SiR performance-oriented trim in 1989. 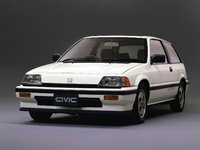 The Civic's exterior design took a futuristic turn for the fifth generation, which debuted with the 1992 model year. 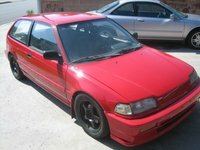 The Civic again became more aerodynamic, with a low hoodline and a wedge-shaped body constructed in part from recycled materials. The Hatchback, available in CX, DX, VX, and Si trim levels, sat on a 101.3-inch wheelbase, while a four-door sedan, offered in DX, LX, and EX trims, rode on a slightly longer 103.2-inch wheelbase. Honda dropped the wagon from the lineup. A variety of powerplants put out 70 to 125 hp, depending on the trim, and achieved fuel economy numbers of up to 55 mpg. 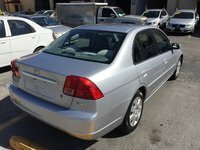 Honda added a driver's-side airbag as standard equipment in all trims and included standard antilock brakes on the EX sedan. 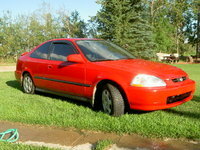 In 1993, the Civic del Sol joined the lineup, and Honda launched a separate Civic Coupe model. 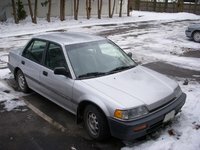 Safety, performance, and emissions systems improved for the sixth-generation Civic, which bowed with the 1996 model year. A new high-output, high-fuel-efficiency VTEC engine, producing 115 hp and linked to a new CVT automatic transmission, powered a new HX coupe, while a new 106-hp, 1.6-liter four-cylinder engine drove the CX and DX hatchbacks, as well as the DX and LX sedans. 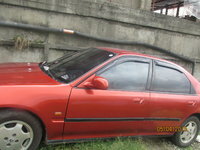 The EX sedan received a 127-hp version of the new VTEC engine. The seventh-generation Civic, which appeared with the 2000 model year, received a new MacPherson strut suspension, designed to provide a more comfortable ride and improved handling. 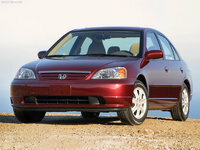 While the wheelbase remained essentially the same as the previous generation's (103.1 inches), Honda maximized the Civic's interior space by flattening the rear floor, which improved room and comfort in the rear seat. 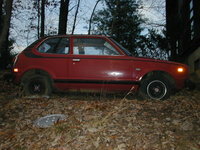 Trims included DX, LX, and EX levels, as well as an HX coupe, a two-door Si hatchback, and a new natural-gas-powered GX trim. A 117-hp, 1.7-liter four-cylinder engine powered most trims, while a 127-hp version of the same engine drove the EX trims. 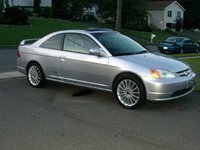 The quality of cabin materials dropped a bit, although Honda added better sound insulation for a quieter cabin in 2002. That same year, a new Civic Si rolled into showrooms. The following year, the Civic Hybrid, with an 83-hp gas engine and a 13-hp electric motor, joined the lineup as Honda's answer to the Toyota Prius. For the eighth and current generation, which appeared with the 2006 model year, Honda gave the Civic a radical makeover, again with a controversial futuristic twist, due in part to the aggressively angled windshield and snubbish nose. Inside, the automaker split the dash into two levels, with a digital speedometer positioned above the tachometer and other gauges. Coupe and sedan trims at DX, LX, and EX levels were all powered by a 140-hp, 1.8-liter four-cylinder engine. 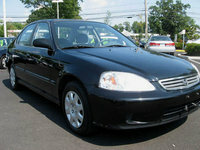 In 2008, Honda offered the EX trim with optional leather upholstery, a first for the Civic. Reliability and longevity have long been part of the Civic's appeal, which means prospective owners have a wide range of used Civics from which to choose. Those who seek an upscale Civic should seek out later-year EX trims, while buyers who want a sportier ride should check out the Si trim, which features high-performance powerplants and retuned suspensions in its various incarnations. And for owners who require fuel efficiency, the Civic Hybrid as well as entry-level DX and LX trims provide good opportunities. Buyers with families may want to check out the seventh-generation Civic, which combines affordability with plenty of interior space, thanks to its flattened rear floor. 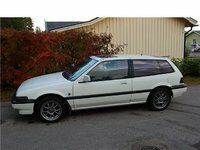 Similarly, some Civic wagons, produced until 1991, may still be available. 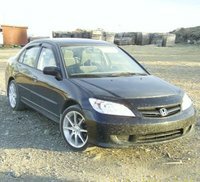 The hatchback Civics also provide a high level of functionality for owners seeking cargo flexibility. 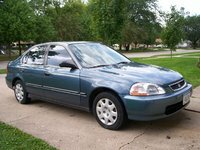 From the 2001 model year onward, the Civic has received stellar safety ratings, usually receiving the top rating available, particularly when it comes to protecting front-seat passengers. Safety ratings for Civics built for the 2000 and earlier model years, particularly those built from 1991 to 1995 (the fifth generation), weren't quite as stellar safety-wise, although Civic wagons built from 1984-87 achieved near-perfect marks. Consumer Reports lists the 2007 Civic EX coupe as a particularly good used-car buy, due to its affordability and reliability, while others recommend late-model Civics as good used cars for teens and grads.